The UK establishment is alarmed by a "peace deal" that Vladimir Putin and Donald Trump may reach at their upcoming meeting. London has used Moscow as a "boogeyman" to preserve its fading influence in Europe, experts said. After the time and date of the meeting – that is, Helsinki, Finland on June 16 – was set this week, the Times laid out a piece conveying the fears of unnamed cabinet ministers that a "peace deal" will undermine NATO and compromise European security. Ideas of "what can go wrong" ranged from the cancelation or downsizing of NATO drills in Eastern Europe to acknowledging Crimea as Russian territory and lifting sanctions against Moscow. One minister even predicted "further provocation by Moscow." Clear and present danger of "losing market"
"The UK has been one of the most active supporters of a hard line towards Russia," and the "vigorous resistance" of its ruling circles to any positive shift in the stance of Washington towards Moscow shouldn't be surprising, Alexander Bartosh, a military expert and former Russian diplomat, said. 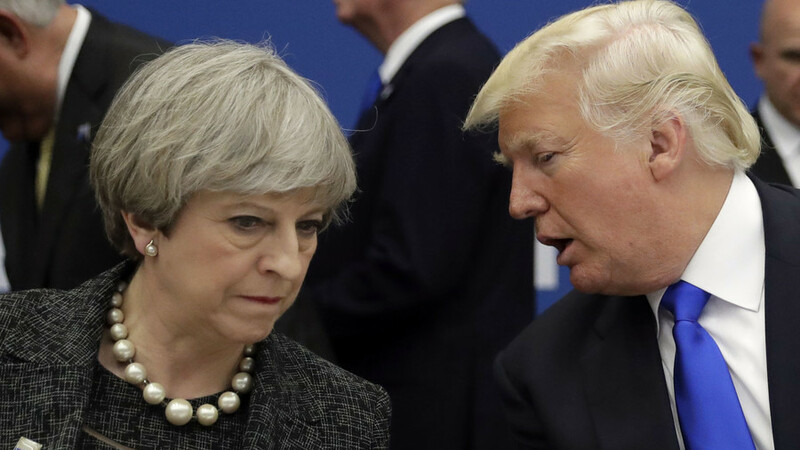 The UK, which quit the European Union, feels a certain loss of its weight in Europe and tries to turn Russia into a kind of boogeyman, seeing the 'Russian threat' as a unifying factor for nations, looking for closer ties with London," he said. British historian and author on international affairs John Laughland believes that "in the context of Brexit, Britain wants to talk up the Russian threat in order to be able to sell British military expertise, military capacity, and intelligence gathering expertise to the Europeans. "The British are afraid [because] if the Russian threat is perceived to disappear they lose their market." 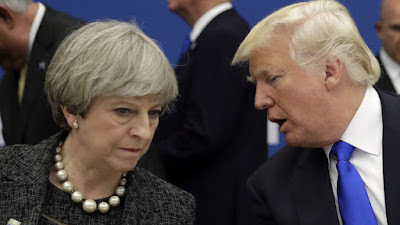 There are all grounds for London to worry because "the common belief that America and Britain are such great friends isn't really justified, as there are many in the US who support tougher and more pragmatic relations with the UK. The Americans don't want to pull the chestnuts out of the fire for Britain as they used to do previously," Bartosh said. The paper also wrote about fears that US President Donald Trump, who has been bashing NATO allies for not chipping in enough to the organization's budget, may accept the Polish offer to pay for the establishment of a permanent US base in the country in a bypass of NATO. Bartosh believes Poland is striving to replace the UK as America's prime ally in the region. "The Poles are using the decrease of the British influence in Europe to show the US that they should now put stakes on them," he said. Laughland also believes the proposed establishment of a US military base in Poland without NATO's involvement "reduces Britain's role and influence. It shows that it's not NATO that's important, but the US – which, of course, is the reality." Trump, who has been critical of NATO in the past, is only interested in the bloc "to the extent that he can get the Europeans to pay more money and buy more American weapons," Laughland said. By offering Washington a military base on its territory, Warsaw is "pursuing economic targets, in the first place, because it would increase the flow of funds into the Polish economy," Bartosh said. "Poles are quite reasonable people and they are unlikely to really think that there's some significant military threat coming from Russia towards Poland." So what about the meeting? During their meeting, Putin and Trump will be trying to find a "unifying agenda for the US and Russia because the relations of the two countries affect not only their own wellbeing, but international security as a whole," Bartosh said, adding that "none of the sides will be aiming to undermine the integrity of NATO." NATO is jeopardized by internal problems, including Trump's demands to members-states to increase military spending, divisions and differing views on threats within the EU, and the trade war between Europe and America, according to Bartosh. It's also "possible" that during their meeting, Putin and Trump will be able to "find the formulae to overcome the current situation" in relations between the West and Moscow," Laughland said. The US sanctions can be lifted and the EU may follow suit shortly afterwards as "the European sanctions are coming under heavy questioning from Italy, Austria, Hungary, and other countries."